Open: Tuesday, May 4. Tuesday, November 23. Closed: Thursday, May 6. Monday, September 13-Friday, September 17, for annual facility maintenance. Wednesday, November 24. Saturday. December 11 - Monday, December 13. Sunday, December 26- Friday, December 31 (New year 2011. Open from Sunday, January 2). ※The following persons will be free of charge for regular exhibitions. ※Special exhibition is also free for persons over 65 living in Yamanashi. ・High/Junior High/Elementary/Special Aid School students on Saturdays or on school trips. 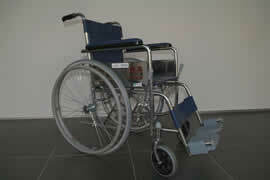 ・ Persons with disability and one person accompanying them are admitted free of charge. ※No fee is required for entering the restaurant, museum shop, or library. ※Tourist discount is applied to those staying at hotels or inns in Yamanashi, on the day of the stay or the day after. Please show hotel reciepts or reservation coupons. ※Museum Kai Network discount is also available. Please show any of the following pass or ID. ※ Special Exhibitions require a separate admission fee. ※ When Special Exhibiton is open, discount ticket valid for both Regular and Special Exhibition is available. Free unlimited access to the regular exhibition and special exhibition of 4 prefectural museums (Yamanashi Prefectural Museum, Yamanashi Prefectural Museum of Art, Yamanashi Prefectural Museum of Archaeology, and Yamanashi Prefectural Museum of Literature). Pass is valid for one year from day of issue. Anuual pass for Yamanashi Prefectural Museum (YPM) only is also available. To purchase the pass, contact our staff at the ticke counter. You will need to fill in a simple form and a picture taken. 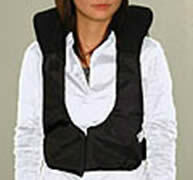 Jacket type voice guide for persons with disability and foreigners. Avialable in Japanese, English, Chinese, and Korean. 30 sets available. Please make a reservation for group use. Free of charge without reservations (limited numbers). 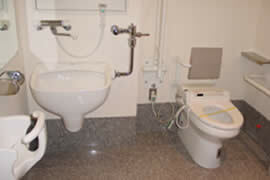 Facilities for ostomates are available in the accessible restroom. Nusing room is also available for guests with babies and small children. ☆Temperature and humidity in the exhibition galleries are set at 24℃/55% to conserve exhibits. Lighting is also reduced.